We hope you enjoy our quick guide to all that the RoadTrip has to offer. If there's anything that's not answered here, please leave us a comment in the comments section below. #1 is called the Tilt/Lock Adjustment Knob. This will loosen the ballhead up top so you can shift your camera around to the position you want. 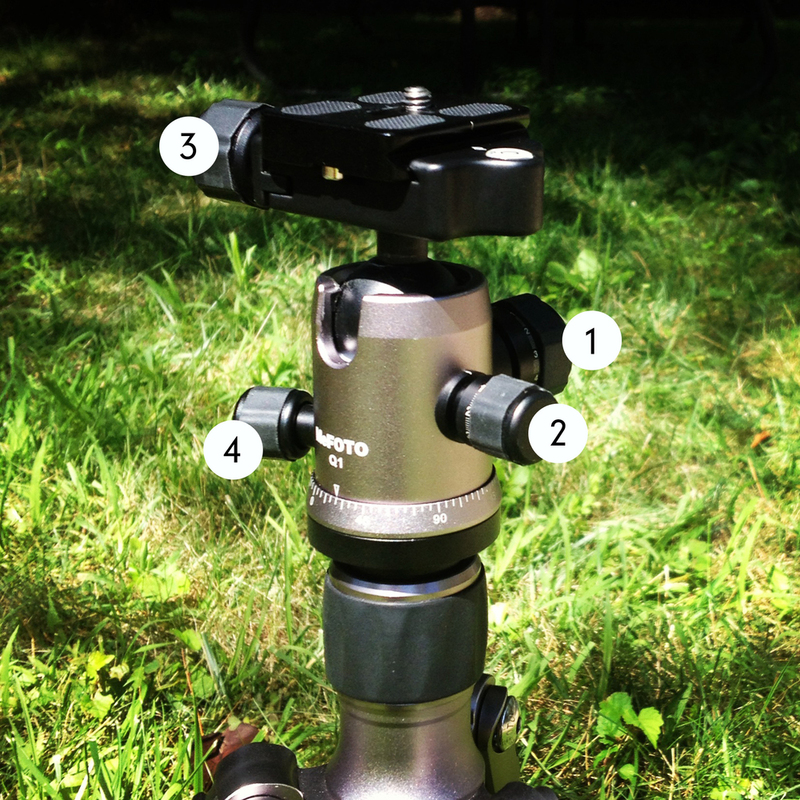 This is also how you can put your camera in vertical mode, when you push the ballhead into the groove on the side. Remember you need to tighten it afterwards so it stays in place. #2 is the Drag Adjustment Knob (only available on the RoadTrip and GlobeTrotter). It adds tension to the ballhead so if you have a really heavy camera on your tripod it won't flop over or anything when you loosen the drag adjustment knob. This allows you to make smaller adjustments on the ballhead. #4 is called the Panning Knob. It is the smallest knob on the side and when you loosen it, you can 'pan' the ballhead left and right in a horizontal movement. This comes in handy if you're taking panorama shots or shooting video and are tracking someone. Unscrew the removable rubber foot to exchange with the spiked foot. Spiked feet come in handy for stabilizing your tripod on uneven surfaces or for digging into the ground when you need extra stability in high winds. You can reverse the center column on the Roadtrip, learn how here. Loosen the center column knob to adjust the height of the center column. The RoadTrip has 2 leg angles. the first notch (shown above) gets you closer to the ground with a wider stance. The second leg angle is the most commonly used (shown above). Very stable.